The UW women’s basketball team faced the Lakehead Timberwolves in two games on Feb. 1-2 at the PAC. They dropped both games against the number 10 ranked team in the country and moved to a 9-16 record. The Warriors were missing many key players but fought hard to stay in the games. 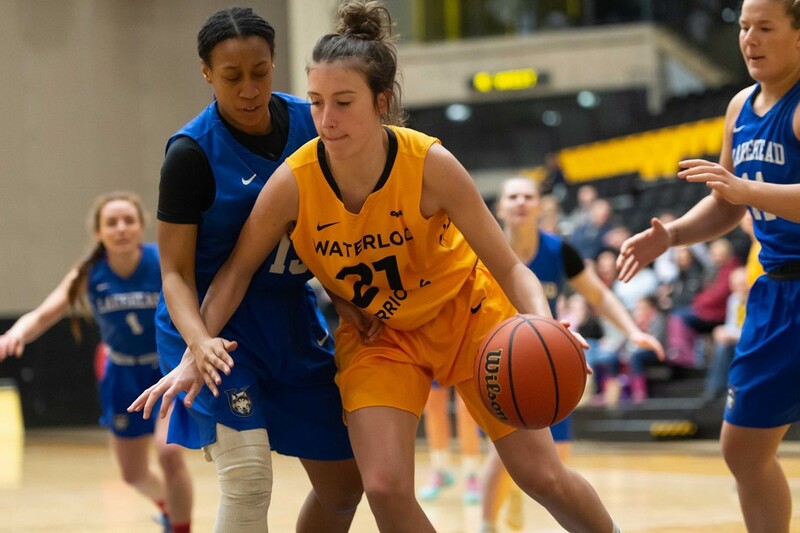 The women dropped Friday’s contest by a score of 69-45 as they were unable to recover from a strong Lakehead start that put them ahead 35-21 at the half. The Warriors struggled shooting the ball as they shot only 24.6 per cent from the field all game, including a lacklustre 2-18 on three-pointers. However, the Warriors’ bench played strong, scoring 22 points thanks to strong ball movement. On Saturday, the women came out much stronger, as they battled hard to keep the game within two points going into the half (30-28). However, Lakehead’s shooters came out hot, as they outscored the Warriors 24-9 in the third quarter to effectively put the game out of reach. The Warriors were strong on the glass, grabbing 39 rebounds and eight second-chance points. Ella Mahler led the way for the Warriors with 11 points, five rebounds, and two steals in the effort. Forward Hilary Ferguson was strong as well, grabbing a game-high 15 rebounds. It was also the 20th annual Fantastic Alumni, Faculty, Staff, and Retiree Day, as UW Athletics alumni were admitted free to the game and packed the stands. The event also featured an Airplane Toss in support of the UWaterloo Wellness Fund, an annual tradition. The team’s next game is on Feb. 5 against the Brock Badgers. They look to play stronger on the road where they currently have a 1-9 record this season. The Warriors currently sit seventh in their division, only two points out of the final playoff spot.